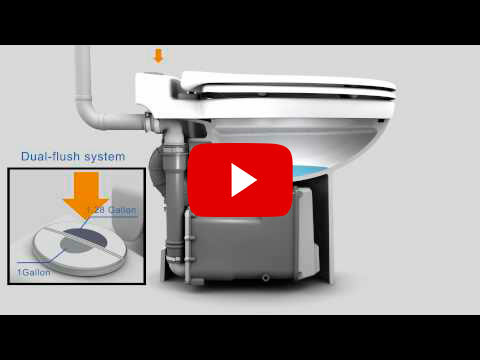 Operating with either 1 or 1.28 gallons of water per flush (gpf), the self-contained SANICOMPACT can use up to 21 percent less water than a standard 1.28 gpf toilet. That translates into a potential household savings of nearly 16 gallons of water per day, according to data from the U.S. Environmental protection agency. (See: http://www.epa.gov/watersense/docs/ws_indoor508.pdf). With this integrated design, the SANICOMPACT measures only 14.5 inches wide and 21.5 inches deep. That makes it ideal for tight areas where installation space is limited, such as in attics, pool houses, bedroom areas, basements and garages. 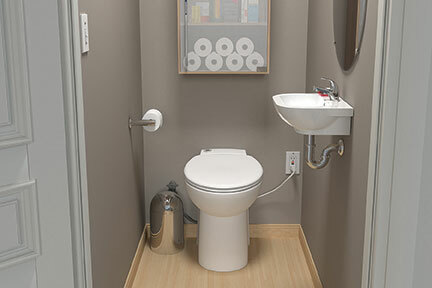 The SANICOMPACT is ideal for installations under a stairway or in a closet to create an additional — even temporary — powder room. 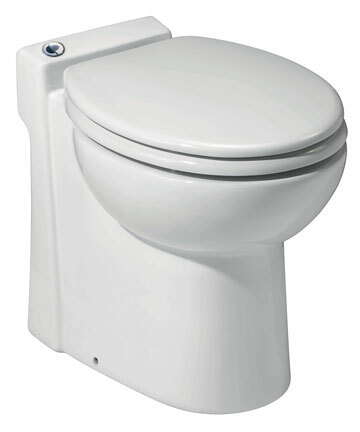 Its comparatively low, 18.5-inch height also provides easier, more comfortable access than a standard toilet. SFA SANIFLO INC. — whose parent company originated macerating plumbing technology — offers a complete line of up flush toilets and gray water pumping systems for residential and commercial applications. 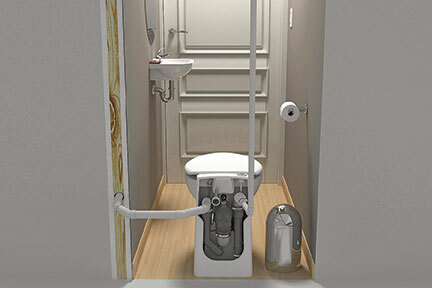 Saniflo developed its innovative, “above-floor plumbing” technology more than a half-century ago and has led its commercialization worldwide. Today, the company markets macerating technology through 22 subsidiaries in 50 countries and has sold more than six million units worldwide since 1958. Saniflo markets through independent sales agents throughout North America, and the product line is currently available at distributor and dealer locations throughout the United States and Canada. Images are 6" x 4" unless otherwise specified: web-ready lo-res images are 432 x 288 pixels, 72 ppi, RGB; print-ready hi-res images are 1800 x 1200 pixels, 300 ppi, CMYK.